Tucked away in the mountains of Gifu, in Seki City is a beautiful place-- Monet's Pond. While this place is not on many must-see lists for people visiting Japan, it is still worth a visit. The lack of a crowd is part of what gives this place beauty. Plus, you have never really seen Japan, until you have been to the countryside. Many Japanese cities have wonderful places to go, and fun things to do, but nothing compares to the charm of the Japanese countryside. My favorite choices are all in Gifu! This pond is named Monet's Pond because in the early morning light the water is so clear and blue that it looks like one of Monet's painting. The orange and gold coy add a magic to the enchantment of the pond. Nearby the pond there is a shrine, the river, and some small restaurants, which may not sound like much, but it is the perfect countryside get away. In the summer, the river is great to cool off. The water flows down from the mountaintops so it is quite chilly. Even the water in the river has a blue tint to it. It is not uncommon to see the local children playing in the river as well. And not going to lie, I got in on the fun! There are ayu, or sweetfish, that are fished out of the river as well, and they make the perfect lunch. 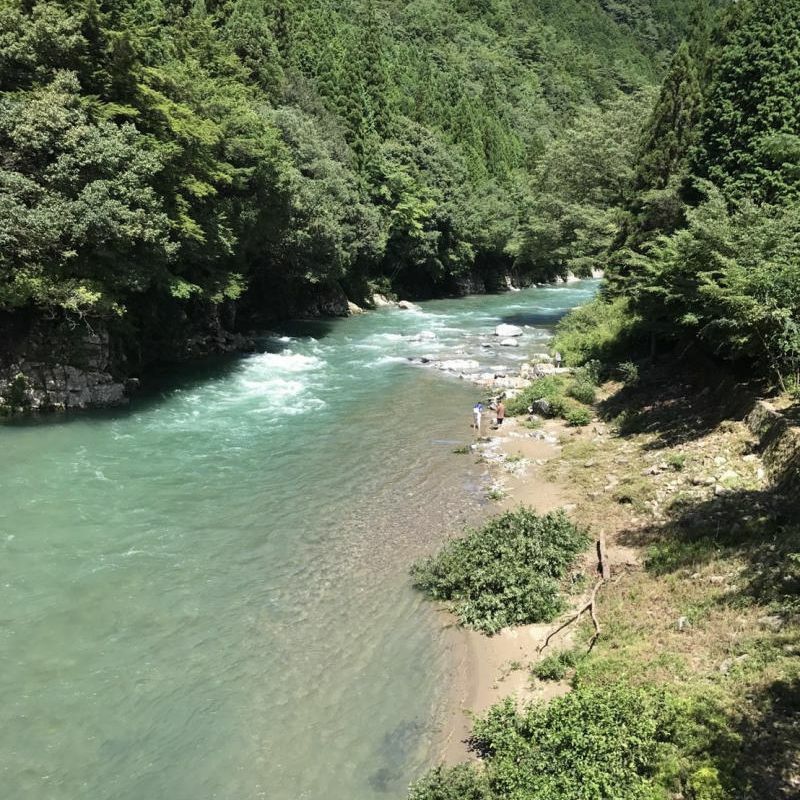 Gifu is known for ayu, so if you are in the area, be sure not to miss it. There are a few local restaurants near the river that serve fresh ayu. It is so fresh that they bring the fish to your table in a bucket full of water and put them right on the grill at your table. Ayu is a white meat fish, and are typically served slightly salted, but it is sometimes prepared with different methods, all of which are delicious, and not to mention healthy. Bonus: I missed it, but if you go to Seki during hydrangea season, they have a road full of them. My Experience Happy Exploring! !